Hoping to keep your loved one living close to home as long as possible but maybe not living under the same roof? How great would it be to have more time with the kids or grandkids without all the travel back and forth? These surprising Granny Pod ideas are a great way to maintain independence with a little personality and charm! 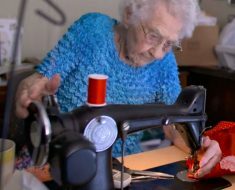 Shows are popping up all over television about the tiny house craze – and Grandma is not about to be left in the dust! MEDCottage began as a way to offer care to a disabled individual or senior citizen – offering them their own private space with the convenience of still being at home for care and companionship. More families are seeing the value of having parents or grandparents at home. 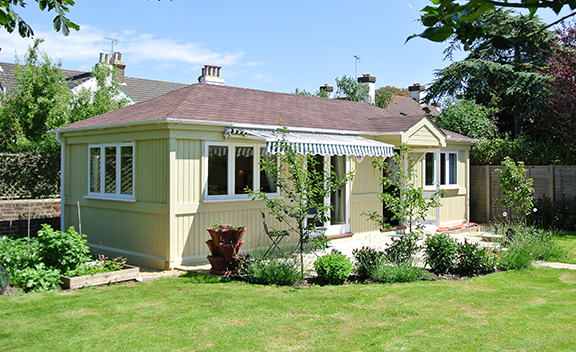 These surprising Granny Pod ideas show that downsizing doesn’t have to be a difficult experience but with a little creativity and personality – You can have the best granny-cottage on the block! * Note we did not choose the name “Granny Pod” – the internet did! We’re always interested in what YOU would call these adorable cottages! This sweet “Granny Flat” that shares a patio with the main house! This is perfect for those who still want their own entry way but are more connected to the family. Just enough independence without having their own yard maintenance. For those who have mobility issues, this is a great no-step entry way. The shorter steps on the main home could be adjusted to have a ramp for easier access also! 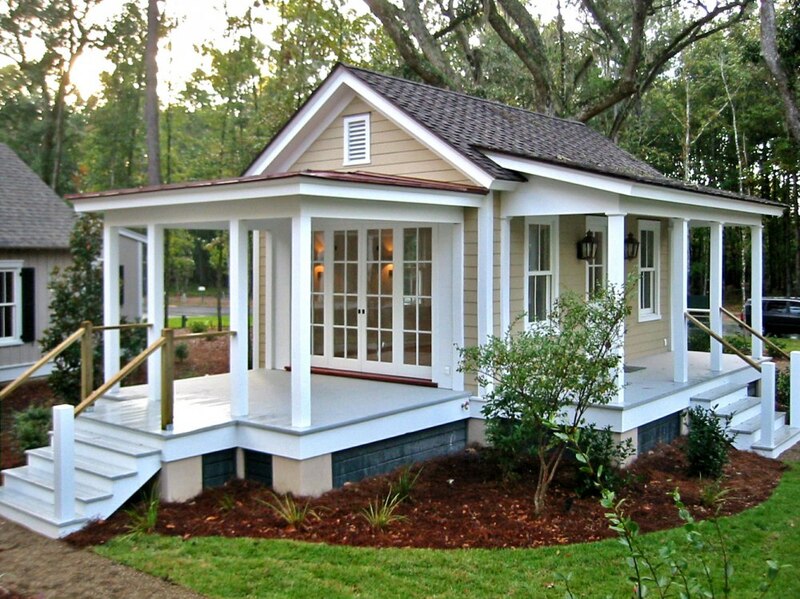 A bungalow with two porches looks perfect for patio furniture, summer warmth and family visits! This is great for the family member who still has their mobility and independence. As with most set ups, this too could have a ramp instead of stairs. What we love most about this charming little house is how it maintained the feel of it’s own residence. With two porches, there are so many options for outdoor enjoyment! Depending on how it was situated on the property, the side porch with the French doors could open to a more private, individual space. What a great way to have your own space but still be attached to the main house by a covered walkway or inclosed breezeway! 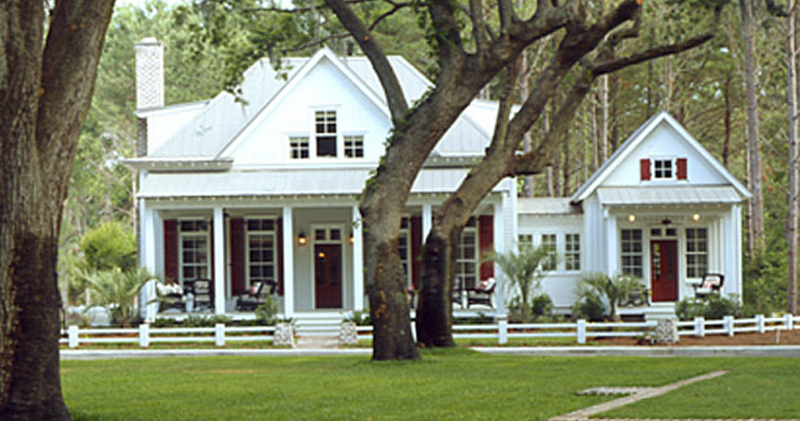 The floor plans are available on Southern Living‘s website. They can easily be adjusted to fit your family’s needs. We love the charming farmhouse feel of this home. The large front windows feel so inviting! This charming attached Granny Pod idea is a great way to keep loved ones close who need a little more care or regular interaction. This color is so bright and cheery making it an instant feature of your home! 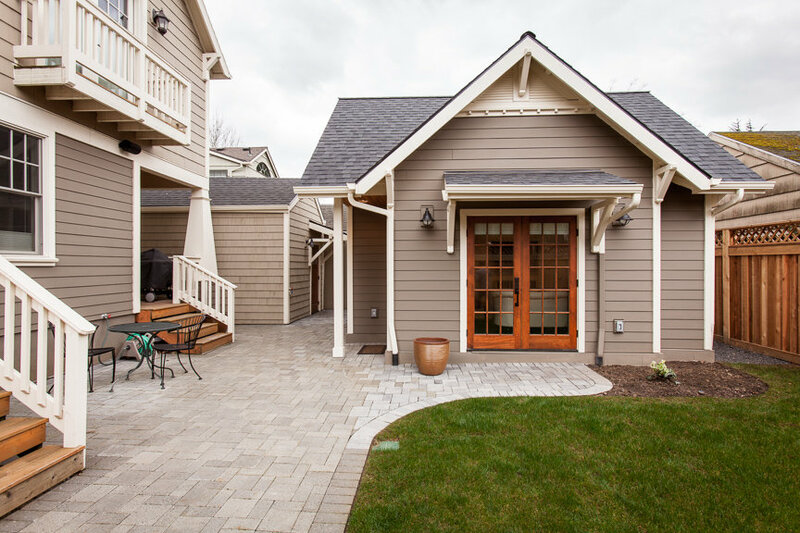 Thanks to it’s skinny floor plan, this home could fit snuggly in a smaller lot. Whether used as a Granny Pod, an artist or writer’s studio, or a guest house, this tiny home adds so much character. 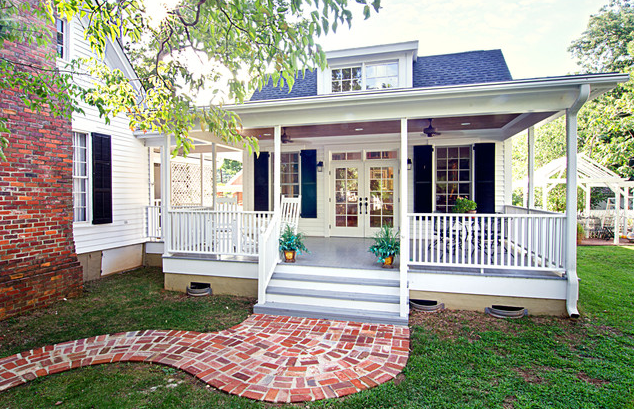 We love the front porch and area for sitting and enjoying the outdoors (or watching the grandkids play!) The pink color is such a spicy addition and may not be for everyone. It certainly makes us reminisce to warm Summer days at the beach! We’re sure this cutie could be painted to match your existing home’s scheme and still be every bit as charming. The addition of the picket fence is perfect to give a feeling of independence and it’s own boundary. 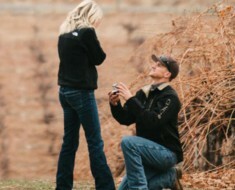 It makes it feel very complete with a Southern traditional flair! This Granny Pod is beautifully surrounded with a vegetable garden – perfect for keeping active and enjoying nature! We love this low-step design. Having the awning adds a ton of useful personality to the space. For those who wish to place a building towards the back of their property, or on a smaller plot, this front door / front patio layout is a great idea! The layout also helps to lower any yard maintenance for the resident. Having a sweeping flower bed just outside the patio is a great location for the resident gardener to tinker still within site of the main house should they need assistance. This Southern classic adds such charm to the yard and the porch is the perfect spot to have friends visit! 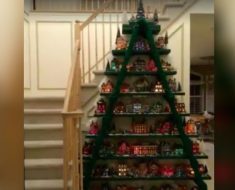 While this may not be the best layout for those with mobility issues, it is perfect for the younger active Granny who wants to stay fit and have the challenge of a few stairs daily. We love how this unit maintains it’s charm with little to no outdoor maintenance. A light sweep of the porch and wipe of the chairs and it’s done. This may be the perfect design for the more active resident who is perhaps participating in clubs or volunteer work. 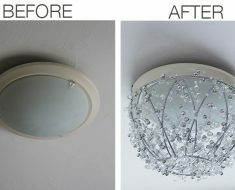 Such a cute idea for a smaller space or a more modern home design! This little home fits easily on a smaller lots and still offers lots of charm! The front steps could easily be converted to a ramp for easier mobility instead of the stairs. 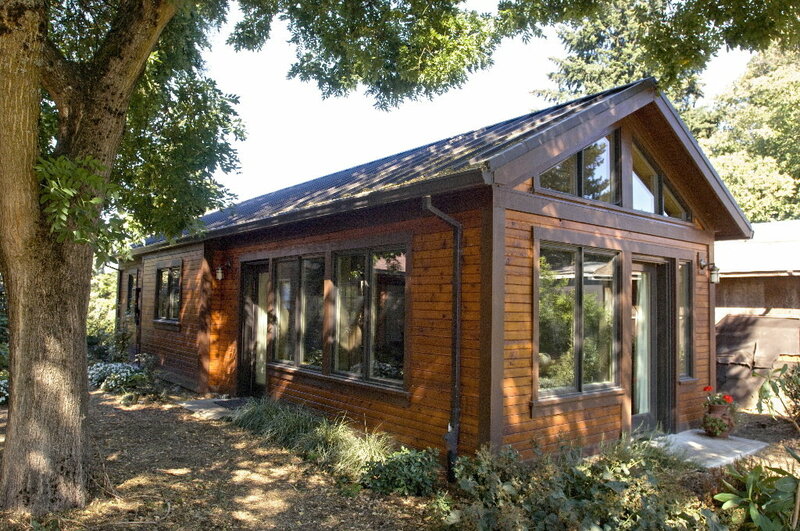 This is a true MedCottage style which is more about a one room healthcare space than a true “home” for a more active relative. Most of these layouts have accessibility bathrooms with a hospital bed or mobility bed in the main living space. With a little creativity, this could still have all of the necessary functional aspects but including more aesthetically pleasing design elements. 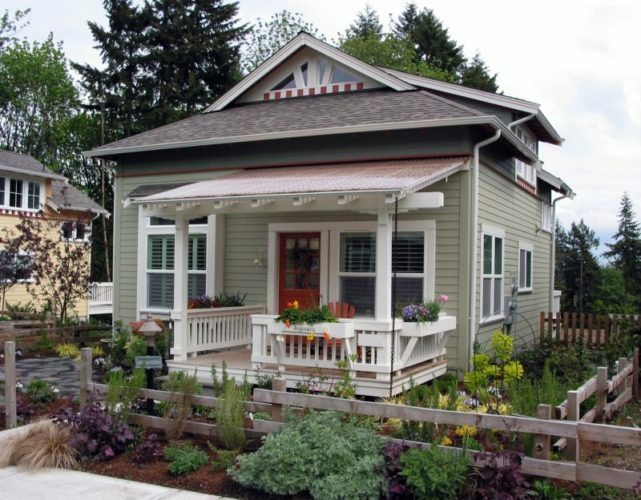 The flower boxes and garden on this little home are so charming! This bungalow offers a great options for those who are downsizing but still want their own home space. 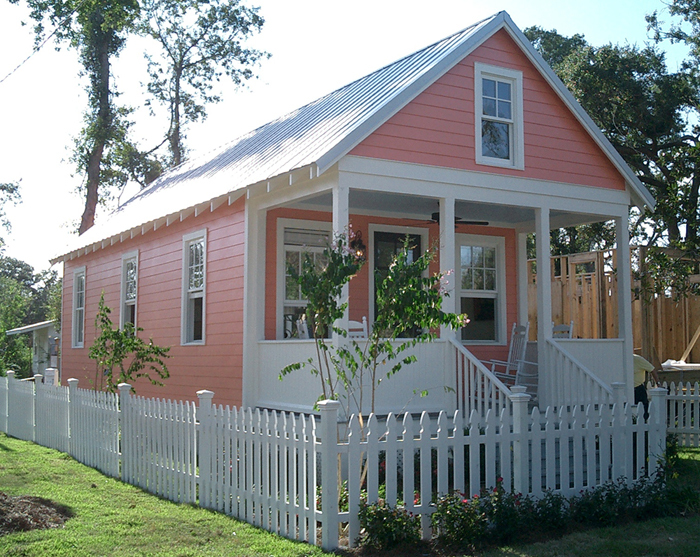 A lot of retiring individuals have been considering their own tiny house communities for friends to retire with them. 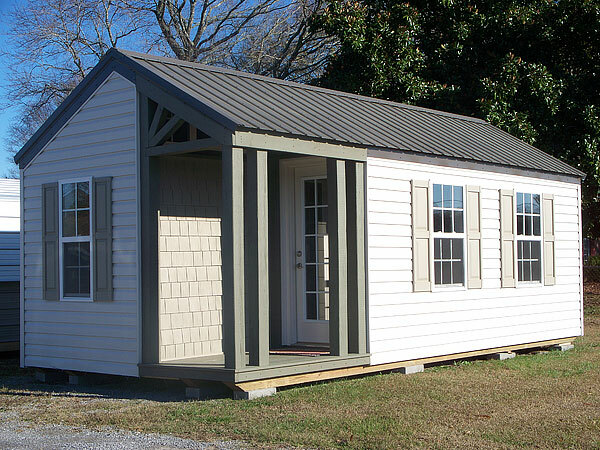 While this may be a bit larger than most “granny pods”, it’s still offers all the convenience of the smaller homes with less maintenance for the resident. We love this porch! The flower boxes on the porch railings are great for planting perennials without having to bend down into a flower bed. The size is perfect for a few chairs and a pleasant afternoon with friends. This tiny cottage has big possibilities. 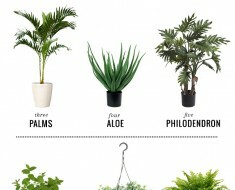 It comes as a customizable kit and would be perfect with window boxes filled with brightly colored flowers! 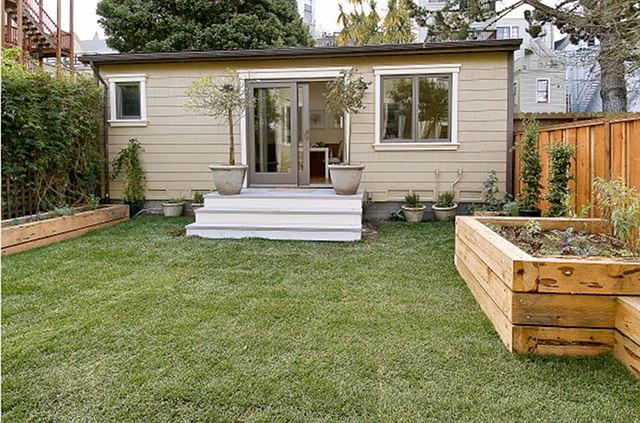 What a great space for someone who maybe doesn’t need a lot of outdoor living space, or even to create a low-maintenance patio directly off the front stoop. The design lends itself to being lower cost to install, easy to customize and a perfect size for a traditional neighborhood lot. There is no cramped feeling in this Granny Pod! Full of windows and natural light this space is a great place to enjoy nature. As more retirees are deciding they want to be closer to their busy children’s families, this concept of smaller living on the same property is becoming very popular. This particular home is so cozy nestled under the trees. It would also make a super rental property to a studious college student! It is a great size for those who are looking for a step up in their independence or those who are looking to downsize and take on less responsibility. 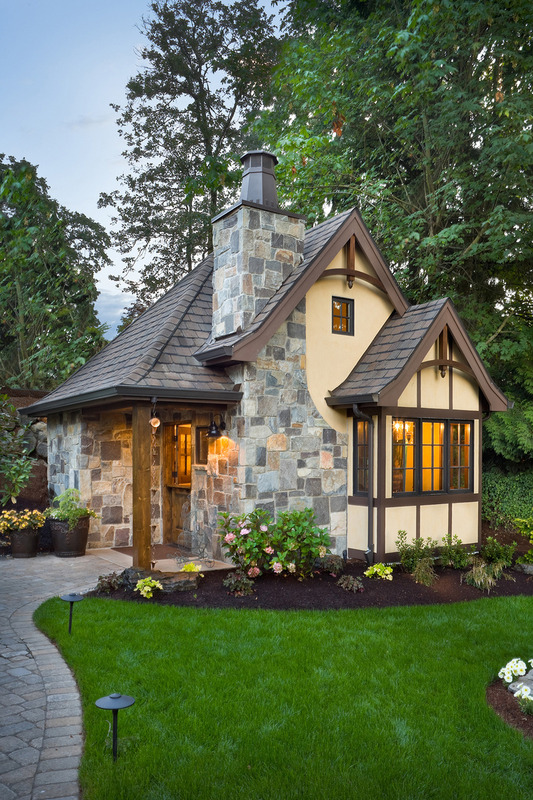 The grandkids will be so excited to visit this fairytale cottage! 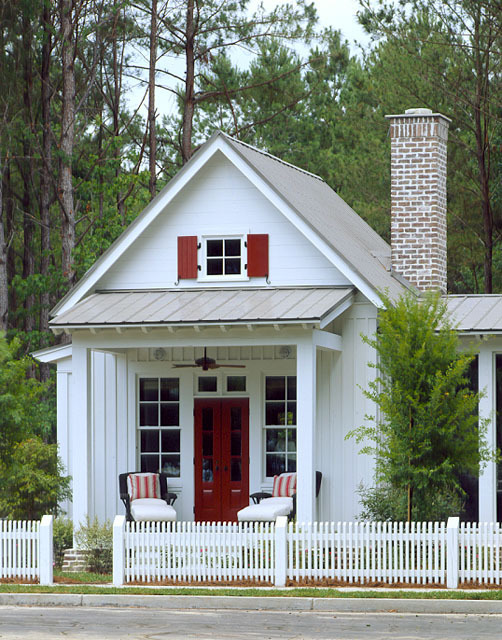 This cottage is so adorable, we can’t imagine anyone not seeing potential in this space. With easy-entry access, depending on how you design the interior, this space could work well for someone who has slight mobility issues. There does appear to be a room upstairs that could be their own guest room or a storage space for seasonal items. We love the unique roof lines and the rambling walkway and flower beds! This sweet space has a very European flair and not only is stunning for those who get to call it home, but it a great visual addition to a back yard. The resident will have to shoo all the kids away because they will want to play in the “storybook house”! The angles of this tiny house’s front door add such interest to a small space. 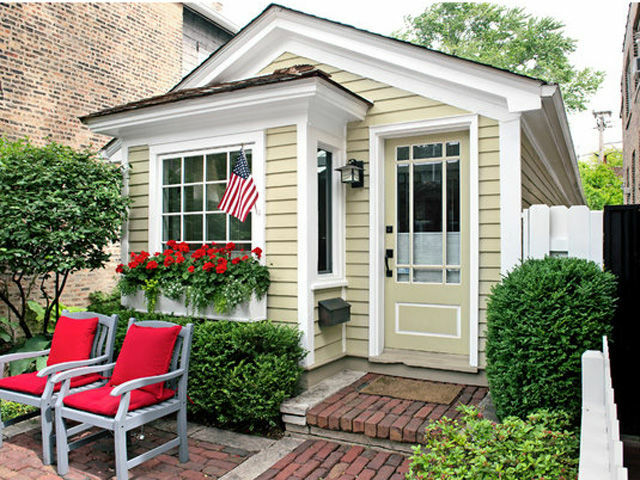 Very reminiscent of city life from days gone by, we love this little bungalow! The bumped out window ads such a great character to the front entry way. The little patio is just big enough to sit and enjoy the outdoors without the need to heavily maintain the space. The idea of having a mailbox out front seems like a great one, even for a granny pod in the backyard! How much fun would the kids have leaving mail for Grandma?! And it is a perfect way to transfer the mail from the front of a house for someone who has mobility issues. It’s another great way to offer the sense of independence. We just love this cute house! Thank you so much for visiting AllCreated.com. Be sure to pop over to our site regularly to see recipes, crafts, DIY & inspiration, chosen just for you. We post tons of new ideas every week! 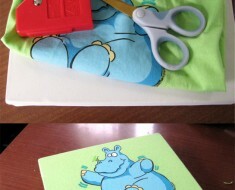 T-Shirt Wall Art On Canvas. So Easy!